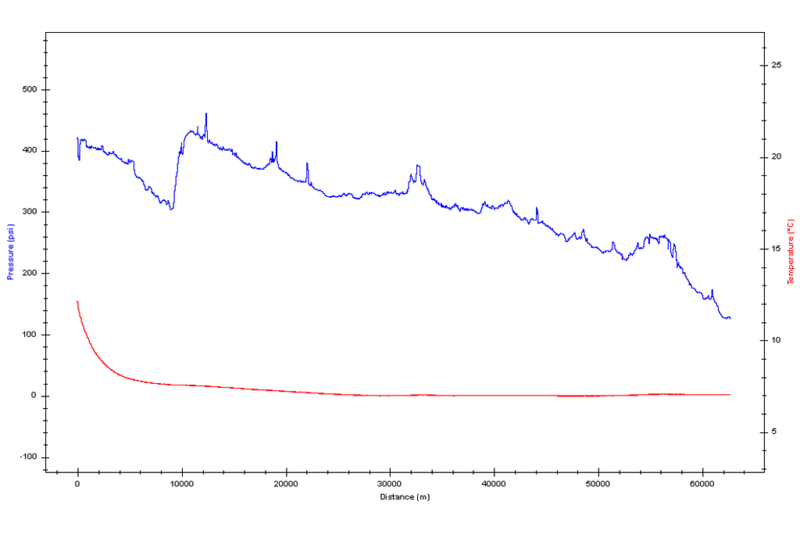 and pressure profiles throughout an entire inline inspection (ILI) distance. 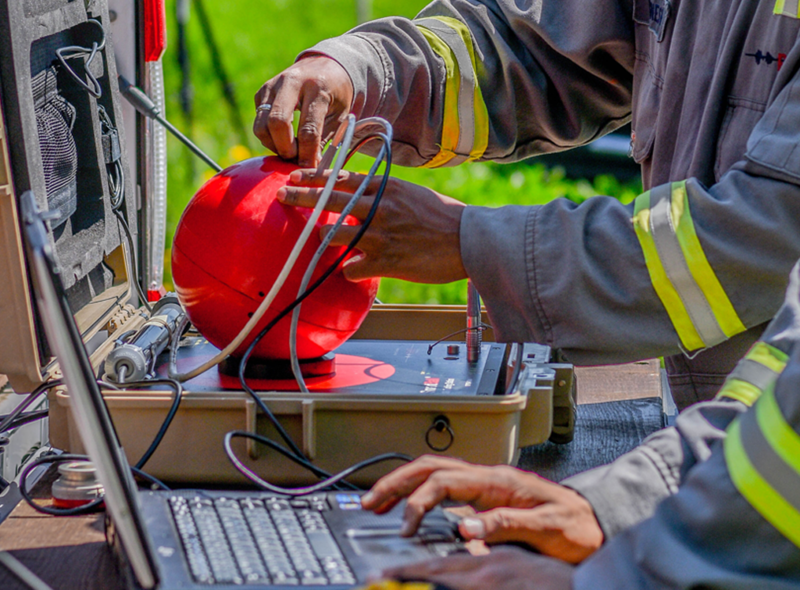 These measurements are taken hundreds of times per second as the tool traverses the pipeline. The data collected can then be used to improve pipeline flow modeling and supplement mass balance and real-time transient monitoring leak detection methods. The pressure and temperature data can also be used to improve pipeline modeling on internal corrosion direct assessment (ICDA) projects. 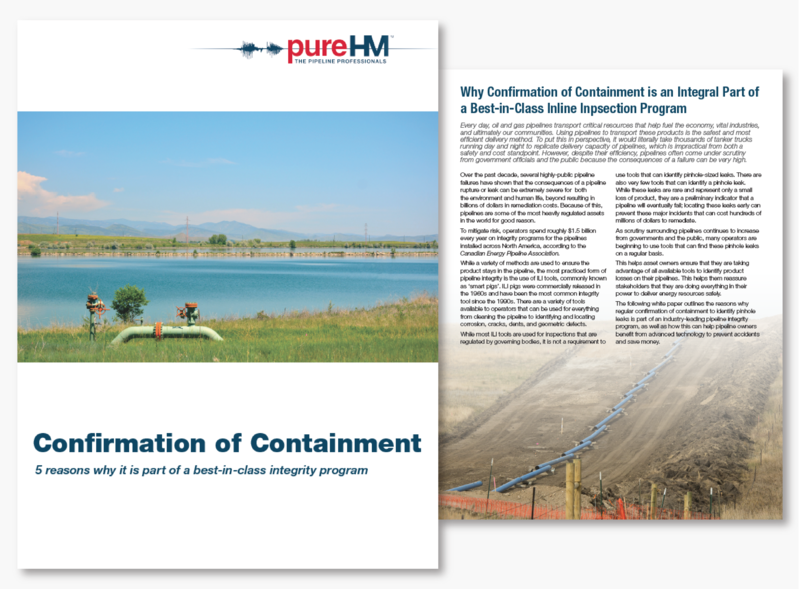 An industry-leading ILI program combines a variety of data to safely and effectively manage the risk of operating a pipeline.